They both started as innocent-looking waves off the coast of Africa. They both, at one time, bore down on the Jersey Shore with the capacity to take lives. But one turned left and one turned right, and that made all the difference between Sandy in 2012 and Post-Tropical Cyclone Hermine last weekend. Hermine, which has now gone safely out to sea, will become a case study taught in meteorology classes for years to come. Simply put, the world's computerized weather models - all of them, from the most skilled to the least - could not capture what Hermine would actually do and when. Storm Team 4 gives viewers a behind-the-scenes look at how they tracked Tropical Storm Hermine. They discuss how the storm moved up the Atlantic coastline, and why it's so important to keep a close eye on a storm like Hermine, even if the tri-state escaped the worst of the storm. Janice Huff: One thing we have all learned as forecasters throughout our career is, particularly when it comes to tropical systems, they're all different. Not one behaves the same, they all behave differently. For as many scientific forecasts that we have - the computer models if you will, because that's what we refer to them as, and there are many - Mother Nature does what she does best and that sometimes fools us all. We always have to let people know ahead of time what the possibilities are. And being prepared at all times for anything - whether it moves in or out, whether it comes onshore or offshore - is the most important job that we have. 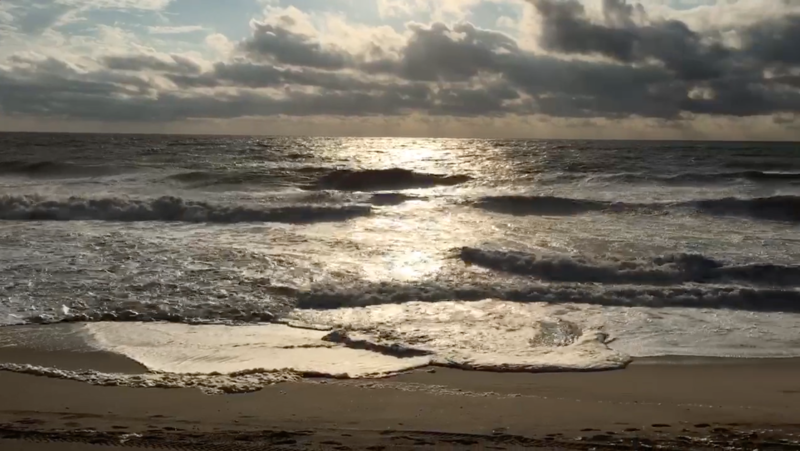 What was supposed to be historic inundation from Cape May to the Hamptons instead became a sunny, breezy weekend with slightly higher-than-normal tides. As meteorologists reviewing the impacts of Hermine will tell you, there is only so much the science can do if a storm behaves in unprecedented ways. Erica Grow: We take what we like to call model guidance as just that - it is the guidance that we use for forecasts. That doesn't mean we follow it exactly to the letter, and we will impart our own experience with storms. The problem with this particular one for me personally - I've been doing this for about 13, 14 years - I've never seen a storm project out to sea and just then stall, as all of the model data was consistently showing for almost a week. I felt like the models were givng us good guidance as to the intenstiy of the storm and also the placement of the storm other than that timing issue with the turn. What they did a terrible job of for us was predicting the impact that we would feel here in the tri-state area. Unfortunately that was the big prize for us, knowing how it was going to impact us on such a critical holiday weekend. Within the weather community, the frustration with the storm that started as "Invest 99L" in mid-August was clear. The storm was so slow to take shape and gain strength that some began using the hashtag #NeverHermine to express their disbelief that it would organize. When all was said and done, there was little for forecasters to do but acknowledge what happened. Total bust from 3 days ago for just about every meteorologist on the East coast. Oh well, in good company. I think its safe to say I never want to hear the name #Hermine ever again. Steve Sosna: There were hints from time to time that Hermine might miss the tri-state area entirely, but no concrete good solutions for impacts. Meteorologists go off the computer models for guidance when making a forecast. If all of the guidance is bad, it can be hard to make a forecast that's of quality or confidence. The only confidence you could display is uncertainty, which is why almost everyone got it wrong. Tracking the system up the coast we weren't sure exactly where it would slow down. It was expected to slow down a bit quicker than it did, and that led to some problems. I thought the tropical storm warnings were very effective, the problem was they didn't verify. Raphael Miranda: We were looking at the possibility of a life threatening storm surge. it was definitely in the forecast and we had to sound the alarm then (Saturday morning) because based on what the models were showing for the storm ... we were still calling for that hook back to the coast. This storm was behaving badly for weeks. We had been tracking this storm in the Atlantic ... this storm had a mind of its own, which we saw. Sunday morning, we started to get a little sigh of relief. The fallout from Hermine worries meteorologists for another reason, though - when the next big storm comes, people might not believe them, even though threat may be real. NBC 4 New York meteorologists Raphael Miranda, Erica Grow and Steve Sosna explain the difference between a tropical storm and a post-tropical storm. Chris Cimino: We're all meteorologists but we are all communicators, and that is the challenge in communicating the degree of urgency in getting to a safe place. This ... is post-Sandy. It's a different era. We really want to err on the side of safety at this point. But ... on Labor Day weekend, this is a huge impact on the livelihood of business people who probably lost hundreds of thousands of dollars, and this is one of their last weekends to do it. That's their livelihood, that's not their life, and our job really is to protect their life first. I know it stinks to lose that kind of money based on a forecast, especially when it doesn't materialize. This is something we have to massage and be careful about, how we present it. That's something maybe we can think about in the future in terms of confidence level as these storms approach.